As we have a global customer base spanning various different timezones, our sales and support teams are web based, providing prompt and dedicated support and answers to pre-sales questions either via email or through the Live Chat facility on our website. We are committed to providing our customers with the best possible support whilst at the same time ensuring that the price of our software remains fair, affordable and within reach of even the tightest of customer budgets. One of the ways we achieve this is by devoting our resources to providing lightning fast, efficient, individually tailored, human, responses to support emails 365 days a year, as well as having Live Chat capabilities on our website. Were we to invest in expensive 24/7/365 call centre infrastructure/staff - this would in turn have a direct impact on the price of our software which we'd have to pass on to our customers. Whilst many of our competitors have no problem inflating the price of their software to cover a telephone service which you might never use, we believe in fair and accessible pricing for all! That's why our prices continue remain so competitive! We don't believe that our customers should have to pay more just to cover the running costs of call centres for a telephone service they may never need to use! - especially when our Priority Support service is as efficient and responsive as it is! Our customers with ongoing Annual Support Subscriptions have access to our "Priority Support" service. What's more, we also publish real-time statistics on our Priority Support response times on our dedicated Service Status page, so you can see just how we're performing! I can't believe how fast and efficient your tech support is and has been in the past - Less than 20 minutes to resolve an issue! I wish I could get that kind of support from the paid service we use for our in house IT problems - Amazing service very well done! I am loving your product very much! At lunch today I was telling my colleagues how pleased I am with you and the fantastic customer service! 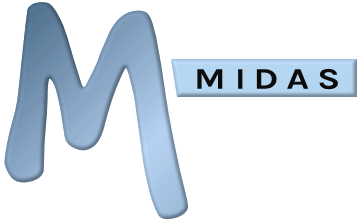 Your customer/support service is truly exceptional and I would recommend MIDAS to anyone! Finally, we actually actively monitor our presence on major Social Media Networks, and promptly respond to interactions through these mediums, so there are plenty of additional ways you can also get in contact, get support, and interact with our friendly team! Our unrivalled customer support improves yet again!